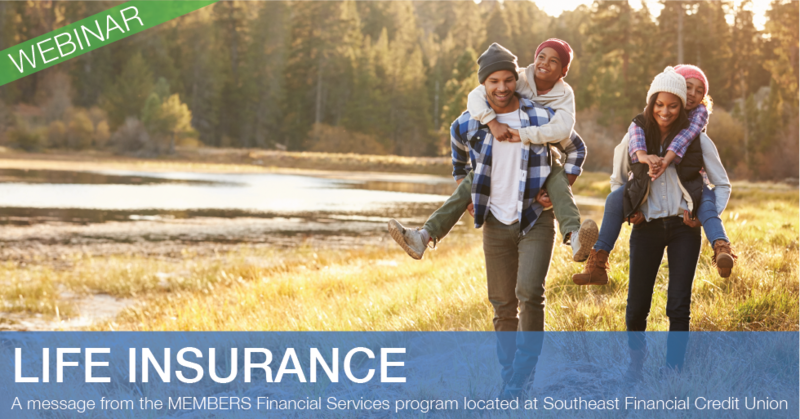 Life insurance can help provide for the people who depend on you financially. It can be used to help to replace your lost income, cover debts, pay your mortgage, fund a child's education, and more. With so many different life insurance options, it's sometimes hard to know what is right for you and your family. How will my family replace my earning power? What additional life insurance benefits are available? After registering, you'll receive an email from MEMBERS Financial Services with more information about how to participate in the webinar. Questions about this event? Email kwright@southeastfinancial.org.